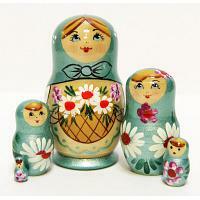 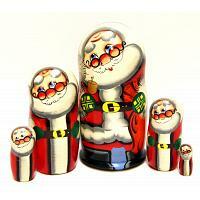 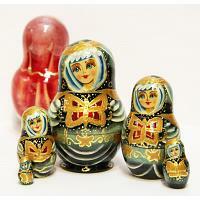 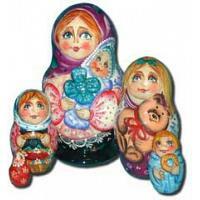 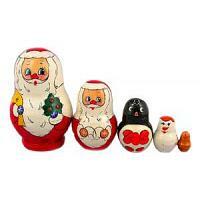 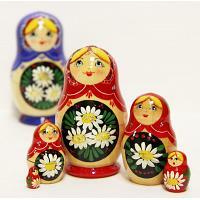 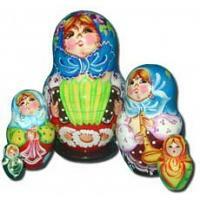 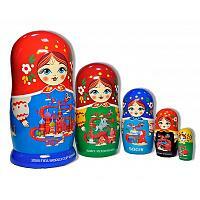 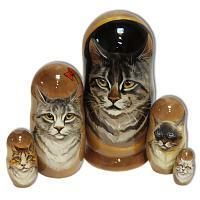 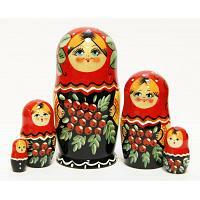 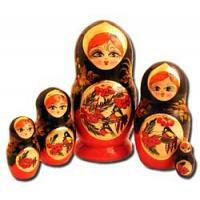 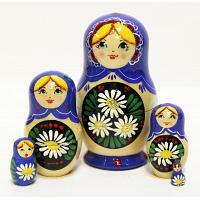 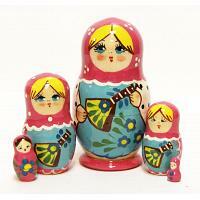 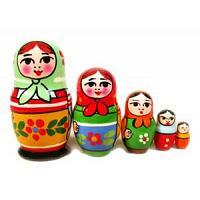 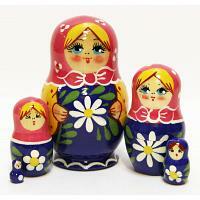 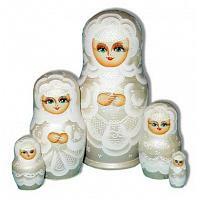 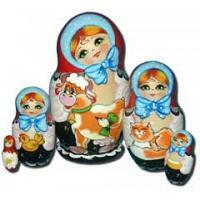 Traditional Russian nesting dolls are usually represented by floral patterns. 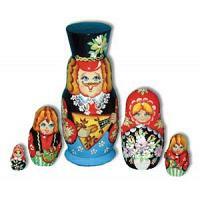 Semyonovskaya and Maydanovskaya varieties are the most popular in this group and range from tiny 3 piece to massive 80 piece sets that measure over 35 inches (90 cm). 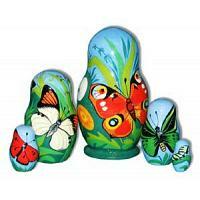 Other common designs include Russian fairy tales, village scenes, and Orthodox monasteries.